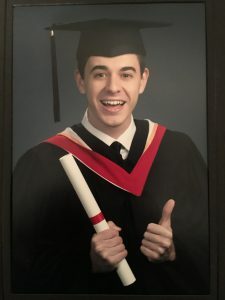 We spoke with an incredible young man, Anthony Di Corte, who graduated from York University in June and has subsequently enrolled in teachers college. Anthony is currently teaching grade six while also working as a part-time manager at TD Bank. We asked Anthony to share his experiences at university and how he overcame some of the struggles he had in finding his true passion. Anthony also shared how he and his single mother, along with his aunt and uncle, rallied together to finance his university education. HigherEdPoints: So why did you choose teaching? Anthony: Honestly I didn’t know I wanted to be a teacher until university. In second year I volunteered at a variety of places because I wasn’t sure what I wanted to do. As soon as I volunteered at a school I knew right away that this is what I wanted to do with my life. I’m currently loving teaching grade six and in the future, my goal is to teach at a university level. HigherEdPoints: What is the passion driving you to do this? Anthony: As cheesy as it sounds, it’s a job that really makes a difference. When I was in school there were a lot of times where I found myself missing something in class because the teacher was using a teaching method that didn’t work for me. Now we have the flexibility to adjust our teaching style to ensure that kids are getting the education that they deserve. When I was volunteering I saw how new and improved the education system was. It’s now a lot more fluid, ensuring that teachers can get through to kids to help them achieve their full potential. HigherEdPoints: I’d love to hear more about this new approach to learning. Anthony: Yes absolutely, so one of the biggest things in education right now is inquiry-based-learning. It means that the student is in control of their own learning; the teacher is just a guide. As they describe what they’re seeing we help them define those findings, “what you’re telling me about is actually called the mean”, by showing them that they can derive the information themselves. It’s really neat because when they do it themselves, it gives them a better understanding of the concept and makes it easier to remember. It’s amazing, thinking back to 15-20 years ago, when I was in this spot it was totally different. Technologically, it’s incredible. They have iPads, Chromebooks, and some in-depth education apps. These apps show kids that there are other uses for technology outside of social media and games, while also speeding up the entire learning process. HigherEdPoints: I’d love to hear more about your university experience as well. Anthony: Honestly I struggled in university, not with marks, but rather with deciding my future. I grew up thinking I wanted to become a doctor, but in first year I didn’t feel the passion for what I was studying. I had started university as a biomedical major, then in my second year I switched to a double major in biology and psychology. I stayed in biology to keep medicine available if I wanted to pursue it, but adding the psychology major opened up a lot of other doors for me. I did a lot of different volunteering in second year university and because of it realized that I wanted to be a teacher. Making that decision took a lot of the stress away because I finally had some clarity around what career I was going to pursue. I would say my best year was fourth year because I was very confident and happy with what I wanted to do with my life. I was in an excellent place both personally and educationally. Overall, university was a stressful and anxiety invoking experience but I’m happy I went through it and wouldn’t change a thing. 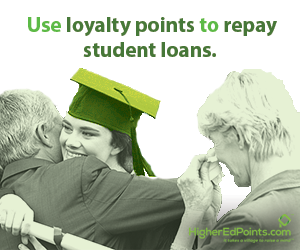 HigherEdPoints: How did you finance all of your university education? Anthony: It was pretty hectic. In first year my parents split up, so that became a major financial hit for me. My parents had originally planned on paying for university, but when they split it wasn’t possible anymore. My mom is amazing, and managed to pay for quite a bit of it, but it was hard for her. 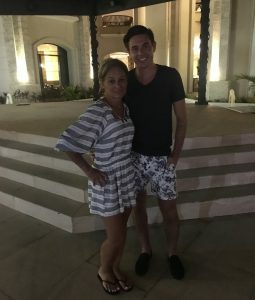 I wasn’t going to let my mom do that alone, so I got some OSAP loans and a job at TD. I started there four years ago as a teller and have gradually worked my way up to where I am now as a manager. My mom’s been there for me so much through school, and she still has another child that she needs to pay for as well. She is truly the type of woman who would give you the shirt off her back at any given moment. So I’m really thankful to her for helping me out. Anthony: Honestly I didn’t know this program existed, but once I found out it was incredible. My aunt has a TD credit card where she earns points and she uses it for a lot of their business transactions. When she first told me that the points could be used to pay off my student loans I was like, “No way, you must be reading it wrong, there’s no way that’s real.” I was so busy I didn’t take a minute to look at it. Then one day we were at her house and she got me to look at it. We tried one exchange to see if it worked, and it was so easy! I thought it was going to be a whole long process, but it only took 5 minutes to do. My Aunt then traded in a whole bunch more [points] and it ended up taking $10,000 off my OSAP loans. This was pretty much all the student loans I had left and all I could say was WOW!! It was just so astonishing for our family. This program is amazing, I think there are other types of points like Aeroplan that you can trade in as well and I think everyone should take advantage of it. I feel like sometimes you don’t know what to do with these reward points. Occasionally you have enough to go somewhere, but then do you have the money to spend once you get there, do you have the vacation time, all that? There are so many barriers to using them that when you can make it easy and just use them to help with your loans, it’s a no-brainer! HigherEdPoints: Thanks so much Anthony, we loved chatting with you! Congratulations on finding your passion and we wish you all the best for the future!